Niagara on the Lakes real estate is currently reasonably priced, but those prices will not last for long. The impending shift is due to exciting developments all throughout the area. Companies and contractors are flocking to this region, building communities and bringing new businesses that promote growth. Niagara on the lakes is already known as a popular place to buy a retirement or vacation home, but its rapid growth has turned it into one of the most thriving places to settle in Ontario. Here are some of the new commercial buildings that are going up in the area. Members of the community and those looking to move into the area can have additional peace of mind with the construction of the new security building. The Royal Canadian Mounted Police has protected the people of Canada decade after decade. Now, this law enforcement agency is constructing a new place to call home within Niagara on the Lakes. This giant outlet mall will be one of the very best in Ontario. Features to be included are elegant wineries, luxurious hotels, relaxing spas and even a world class golf center. The most popular stores and brands will be provided to the thousands of visitors that walk through the doors each day. Outdoor seating will be in abundance so that patrons can enjoy the beautiful Niagara on the Lakes weather, and the dining selections will be top notch. The addition of this establishment is sure to take the appeal of the community to the next level. One of buyers’ top desirable traits when choosing a new place to call home is easy access to high quality education. Brock University is a top higher learning institution in Ontario and is conveniently located within Niagara on the Lakes. The university will be expanding in the near future by constructing the Centre for Lifespan Development and opening the new International Centre. Part of the campaign for a “bold new Brock,” these new buildings will greatly benefit those who buy real estate in the area. Once completed, this world class, $94 million performing arts centre will be one of the crown jewels of Niagara on the Lakes. The complex will feature a concert hall that has seating for 800 spectators, a cinema that seats 180, a dance theater that seats audiences up to 150, a recital and rehearsal hall built for 250 people and an ancillary/circulation space. This centre will be a great way to revamp the downtown area of St. Catherines and also promote a renewed appreciation for the arts within the community. An additional upgrade to the St. Catherines area, the newest addition to the Niagara Health System is a state-of-the-art regional hospital. This facility will provide vital care to members of the community. Over the first year that it has been open, the St. Catherines site has already successfully served thousands across Niagara on the Lakes. If this new construction has you interested in buying your way into an exciting, well-developed area, reach out today to Niagara Homes through my buyer’s resources page. 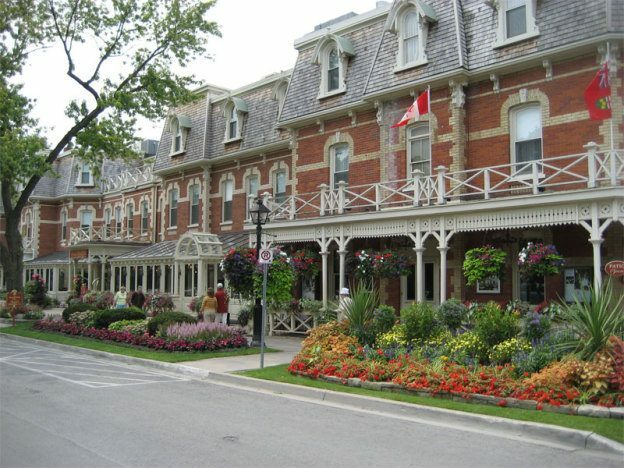 This entry was posted in Blog, NOTL Realty, Uncategorized and tagged Niagara on the Lakes on July 10, 2015 by wp_admin.